Dave started trading in college while he was in Boston. He first read Market Wizards, a book showcasing stories of various successful traders (which I highly recommend!). The interview covered several topics, but one of them highly resonated with me. It is the idea of finding your own way as a trader. Once you get through the initial phase of trading, you begin to understand that copying others isn’t what will help you succeed. Everybody’s different and two traders almost cannot trade the exact same way. You must then find your own way as a trader. How to go through the hard learning curve of a trader: it is not about learning strategies from others. The transition between day trading and swing trading: that was a natural transition for Dave. Strategy differences between day trading and swing trading: find someone or a group that can help you in hard times and good times. Following your gut instinct is important but it’s not necessarily for beginners. 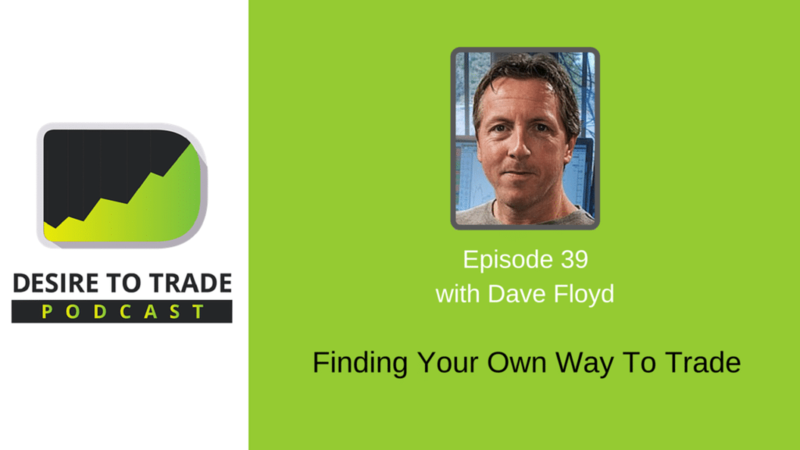 The commonalities between traders: many traders have creative endeavours according to Dave. Approaching stock vs. Forex trading: Dave uses fairly similar approaches. How To Find Dave Floyd?